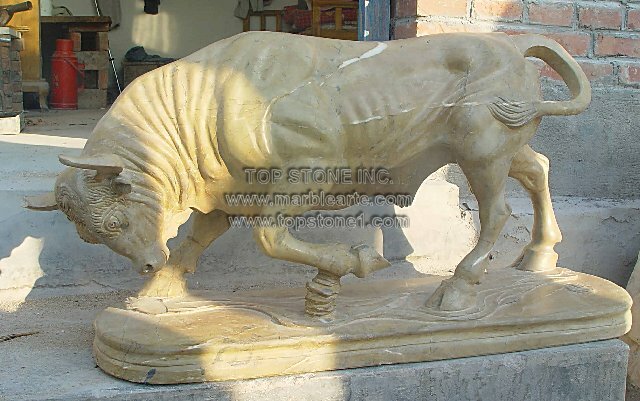 Description: TSAL120 - Charging Bull Marble Sculpture - The Charging Bull sculpture is one great statue that you can make even better by setting them up as garden statues. Its Italian marble make and arte decoration will add an oozing charm whether placed as antique sculptures indoors or as garden art, landscape sculptures and lawn sculptures outdoors. Get one of these from any sculptures for sale outlet and watch these marble statues work its magic.